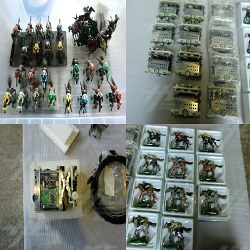 Sega Horse and Carrier Parts for Royal Ascot SD and Royal Ascot 2 DX Machines Now Available! We are currently having some clearances on our Sega horse and carrier parts for Royal Ascot SD and Royal Ascot 2 DX machines. The Royal Ascot is a twelve player, coin operated, medal horse racing game based on the world famous race of the same name. Watch and cheer on your horse as it makes its way around the track! The Royal Ascot SD numbers and colors range includes - 1 White; 2 Black; 3 Red; 4 Blue; 5 Yellow; and 6 Green. The Royal Ascot 2 DX numbers and colors range includes - 1/2 White; 3/4 Black; 5/6 Red; 7/8 Blue; 9/10 Yellow; and 11/12 Green. There are 18 pieces available for the standard version which are sold as-is and their condition is used and there are 11 pieces available for the deluxe version which is sold brand new, with all horses in their original packaging. These parts won't last long, so don't miss this opportunity! If you would like to view the Royal Ascot SD parts and specifications, follow this link, and if you would like to view the Royal Ascot 2 DX parts and specifications, follow this link.